Thundershowers this afternoon following a period of morning rain. Areas of patchy fog. High 61F. Winds S at 10 to 20 mph. Chance of rain 90%. Rainfall may reach one inch..
Cloudy with showers. Areas of patchy fog. Low 52F. Winds SSE at 10 to 20 mph. Chance of rain 70%. Westerly police say they've found no negatives in their first two years of working with a local surveillance camera registry. Now Stonington is launching its own program in hopes of finding the same success. 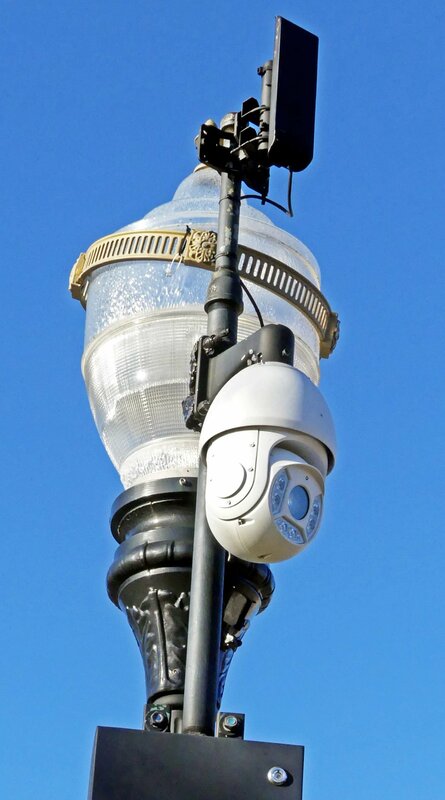 The Stonington Police Department is seeking to partner with business owners and residents in an effort to build a comprehensive camera registry. The program is intended to enhance security by taking advantage of private surveillance camera locations that can help with investigations of criminal acts and accidents, searches for missing people, and other police matters. "The department has cameras throughout town that are maintained by the department, but we can't cover everything," Stonington Police Capt. Todd Olson said. In an investigation, he said, the registry "would help to speed up the process and hopefully lead to more efficient investigations and quicker resolutions." The registry, which police announced on Dec. 27, is private and would be accessible only by sworn officers in the department. Information would be provided on a voluntary basis and will remain secure and confidential, Olson said. Participants have the option of sharing the locations of all cameras on a property, although the police are more focused on public roadways and rights of way. Signing up for the registry does not grant police direct access to the camera or images, and information from the cameras could only be obtained with express permission of the camera's owner. Based on the success of similar programs elsewhere, Olson said, the department is hopeful that this is a natural next step in developing a stronger partnership with the community. When the Westerly police started their registry in April 2017, Police Chief Shawn Lacey said, the department weighed the advantages of such a tool against the privacy concerns of the camera owners. The advantages have since proved to be far more beneficial than first anticipated, Lacey said last week, and the concerns have faded away. "From a law enforcement perspective, this program has only proven to be a win-win for both police and the community," the police chief said. "There were some concerns, but honestly, they haven't come to fruition." One high-profile case was a hit-and-run crash along Canal Street on April 28 that caused life-threatening injuries to a Westerly resident, Jacob Mitchell. After using town cameras and talking with witnesses, Lacey said, the department still had only limited information. But a private camera at a downtown business — one that was in the Westerly registry — provided images of the suspected Jeep and ultimately led to the arrest of Zachary Service, a North Stonington man who the police said was behind the wheel. And that's just one example, Lacey said. The cameras have assisted in theft cases, vandalism and assault. Cameras also played a role in helping to bring a swift conclusion to the recent "porch pirate" case, in which the department arrested two Westerly residents in connection with a string of package thefts from Westerly, Stonington and Hopkinton. Speaking about the registry, Lacey said, "We were ready to hear something negative, but there has been nothing bad that's come out of it." Olson described Stonington's registry is part of ongoing efforts to better serve the needs of residents. "This is another tool in our toolbox, something that uses today's technology for the benefit of all involved," he said. The department timed its announcement for the second day after Christmas. With the growing popularity of smart homes and an exponential growth in the use of security cameras in both homes and businesses, many people had recently received surveillance equipment as gifts, and the police wanted to draw attention to the registry while the new equipment was still on people's minds. A sign-up form for the registry was also recently included in a mailing to people who have security systems registered with the department, Olson said. To sign up for the registry, visit the Stonington Police Department, 173 S. Broad St., or calling the non-emergency line at 860-599-4411. To join the Westerly registry, visit westerlyri.gov/622/Camera-Registry or contact Detective Riley at 401-348-6143.